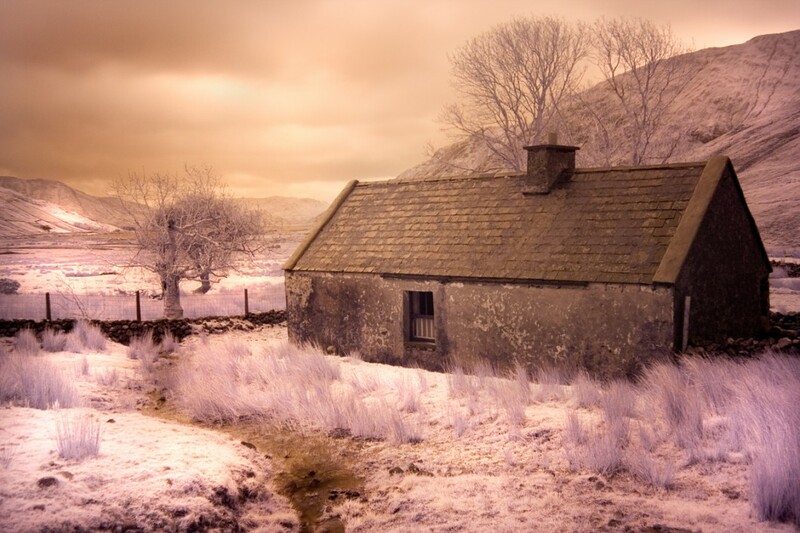 This photograph of an abandoned cottage was taken in Joyce County near the shores of Lough Nafooey in the Partry Mountains. In the subsequent police investigation ten men were arrested based on evidence given by three witnesses. Many of those arrested were related to either the murdered family or to the witnesses. The prisoners were transferred to Dublin where they were to face trial in front of a mainly middle class and unionist jury. The case was conducted in English, a language which none of the Irish-speaking accused prisoners understood. The Crown Solicitor managed to get two of the accused men to turn state witnesses and this resulted in three of the accused being sentenced to death; Myles Joyce, Pat Casey and Pat Joyce. These men were hanged In Galway Jail on December 15, 1882. "as a prisoner under sentence of death…. Myles Joyce is innocent in this case." The case was repeatedly raised in the English House of Commons. When the then Prime Minister Gladstone refused an inquiry, Charles Stewart Parnell, the leader of the Irish Parliamentary Party, withdrew his support for the Liberal government which led to its defeat. To this day the case remains highly divisive and the worst mass murder in Irish history.